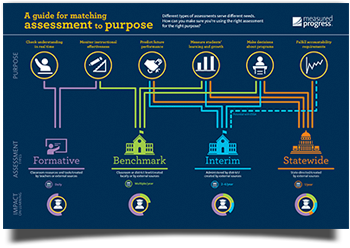 When used at the right time for the right purpose, assessments create a positive impact on student learning. They provide relevant data to support decisions about individual student learning, instructional choices, and program effectiveness. Fill out the form to get your free infographic poster.